-- Finally say goodbye to unwanted weight! gaining it all back (and more)? 2. Have you repeatedly dieted and been unsuccessful at losing your unwanted weight? 3. Are you tired of trying to hide your weight gains from family and friends because weight loss plans just don’t seem to work for you? If you answered “yes” to any of those questions, you’re no different than millions of Americans; you’ve been frustrated by your seeming inability to lose your unwanted weight. It might surprise you, though, to learn that the specific diets you’ve tried aren’t the problem. Would it surprise you further to learn that YOU definitely aren’t the problem either? The problem is not the weight loss plans and neither is it you. The problem is the science! The diets you’ve tried have failed you because they are based on old, outdated science. Science that has, in fact, been replaced, right under your nose, by an amazingly accurate and incredibly reliable one called quantum physics. 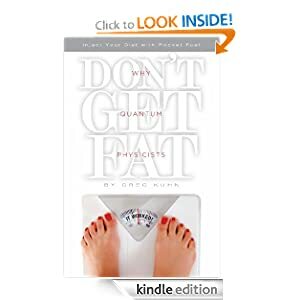 Why Quantum Physicists Don’t Get Fat will teach you, in simple, everyday language, to unlock the awesome power of quantum physics to inject any weight loss plan with nitroboosting rocket fuel. You’ll quickly find that the great-feeling, slender body you’ve dreamed of is just around the corner! -- For fans of magic, romance, and fantasy. Five days until Halloween and all hell is about to break loose. 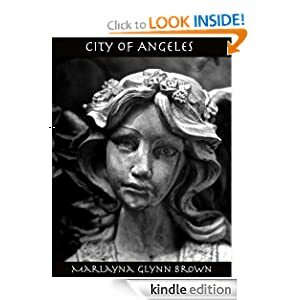 -- City of Angeles is the second book in the trilogy Memoirs of Marlayna Glynn Brown. Continuing her remarkable journey in staccato prose, author Marlayna Glynn Brown reveals the underside of a life lived in 1980s Los Angeles, picking up from the moment in which Overlay ends. 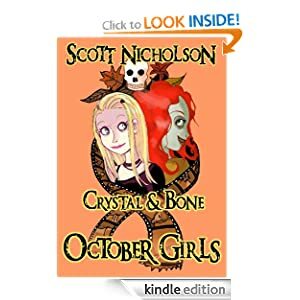 This searingly written, often bizarre story of her teens and twenties reveals the author's flight from glitzy Las Vegas to the formidable world of self re-invention among the angels and demons populating 1980s Los Angeles. The author unflinchingly begets a self from the unlikeliest beginnings, and now delivers a sequel illustrating both heaven and hell on her continuing flight for self discovery.